The Hull House was founded in the late 19th century by Jane Addams to address the social inequalities in what was then a predominately Italian and eastern European Jewish immigrant neighborhood. 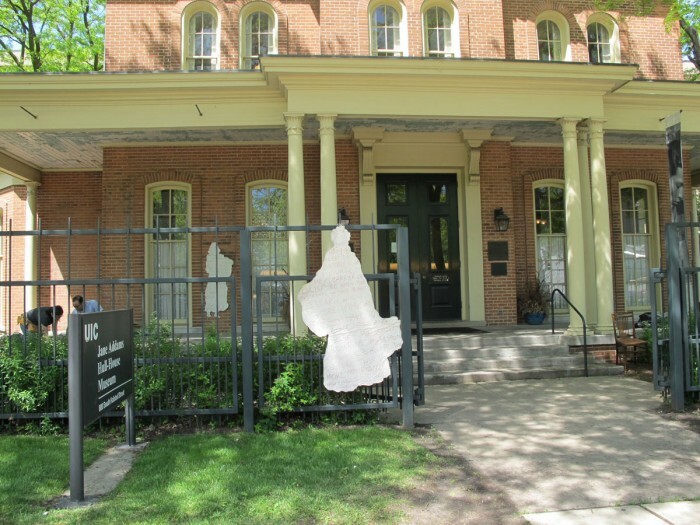 Considering the deep ties of the Hull House to the immigrant community, and being an immigrant myself, I am interested in drawing connections between contemporary experience and the one of the immigrants involved in the Hull House at the turn on the 20th century. In the project PRESENT PASTS I am using photos from the Hull House archive of 19th century immigrants to create canvas and muslin life size silhouettes. 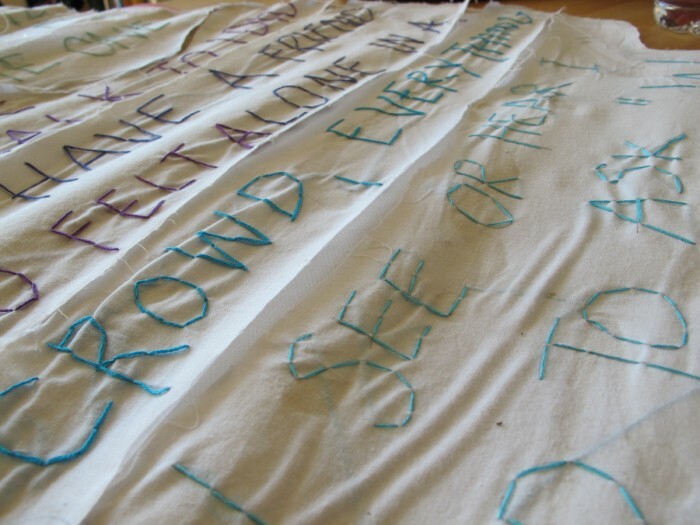 I am embroidering the silhouettes with quotes from contemporary immigrants to the Chicago area, referencing the tedious labor in textile factories and sweatshops done by immigrants then and today. By using a contemporary immigrant voice and juxtaposing it to figures from the 19th century I am attempting to connect the issues facing past and present migrants. 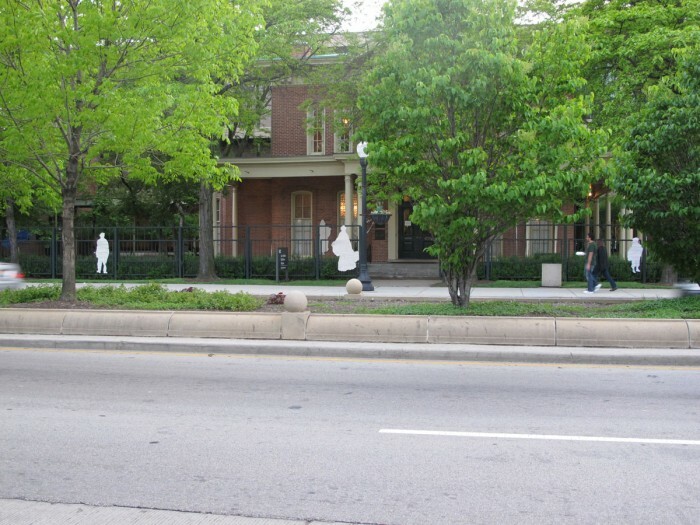 The silhouettes hang around the perimeter of the original Hull House settlement, and in the larger neighborhood where immigrants lived and worked.